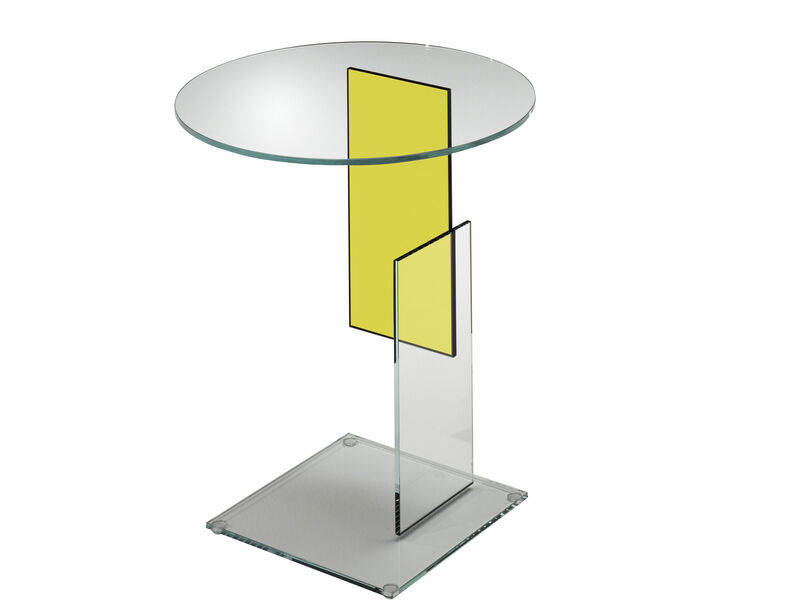 This table is an homage from Jean-Marie Massaud to the ''Schroëder'' table, created in 1923 by the architect and designer Gerrit Thomas Rietveld. Jean-Marie Massaud transforms the material : wood becomes glass. 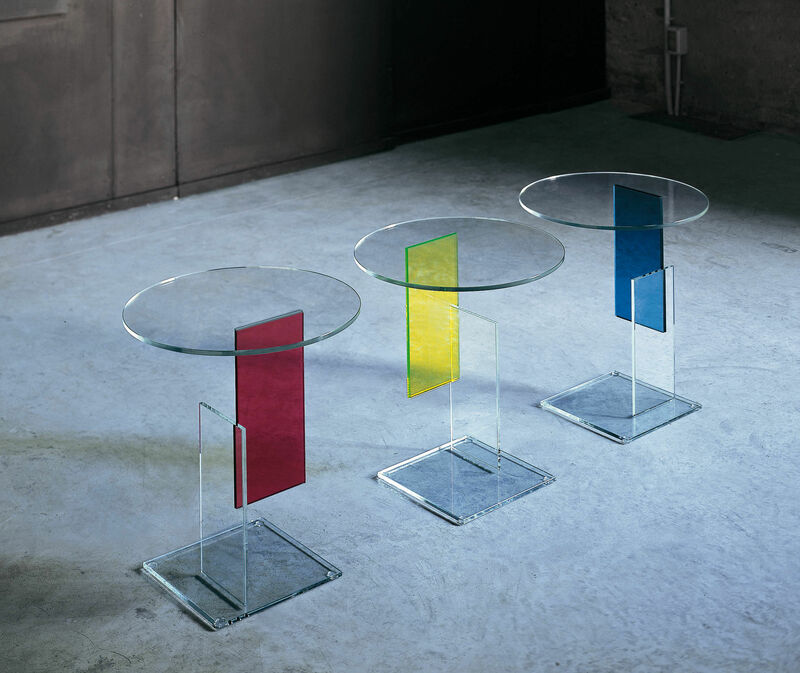 This table is caracterised by the use of primary colors (blue, red and yellow) and simple forms placed in perpendiculary planes.